We are officially on the road! First stop tomorrow night in Atlanta. 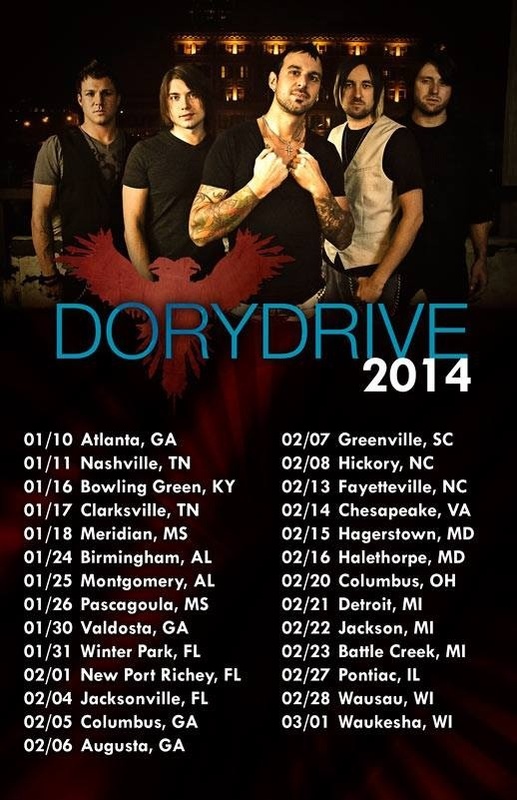 Please share this post and let everyone know your boys in Dorydrive are coming to town! For venue info click on our Tour dates tab. See you all very soon!!!! “Here’s to You” from DORYDRIVE impacts radio TODAY!